Héctor Salgado is a police inspector from Argentina who lives and works in Barcelona, and this particular novel takes place six months after the disappearance of his estranged wife Ruth and the end of a particularly violent case that was featured in the first novel, The Summer of Dead Toys. Besides the case of Salgado’s wife’s disappearance, the novel focuses on the apparent suicides of several people who work for Alemany Cosmetics. That investigation slows the book down, I think, and I think it comes down to the fact that I didn’t particularly feel invested in their stories. My copy of the novel calls it a thriller, but only the first and last sections of the book feel thriller-esque in terms of pacing and reveals. I’m not sure what the marketing or book-cataloging logic was for calling this a thriller: police procedural is not so catchy, perhaps. It’s a good police procedural, with the caveat that the Alemany Cosmetics investigation led by Salgado is just part of the story. The other and stronger part of the book is Leire Castro’s unofficial investigation into Ruth’s disappearance. Castro is an interesting character: she is a young, female detective young and about to give birth. She stands in contrast to the divorced and depressed Salgado, and what she eventually uncovers makes the story very powerful. 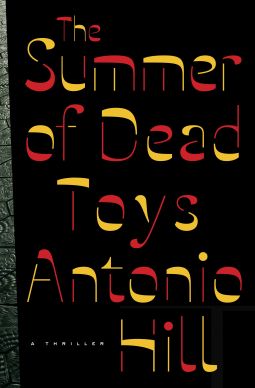 I was a very big fan of the first book in this series, The Summer of Dead Toys, and this book, the second in a proposed trilogy, was a solid entry but not as outstanding as the first novel. Other reviews appear in EuroCrime (Laura), The Game’s Afoot (Jose Ignacio), and crimepieces (Sarah).